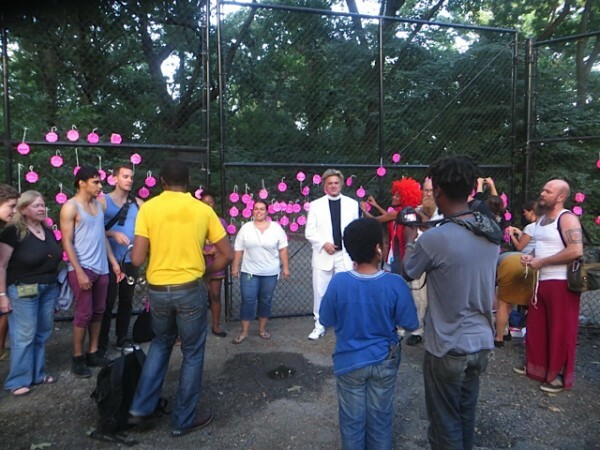 When will the City re-examine and change its methods when it comes to its creation of environmental and health chaos? 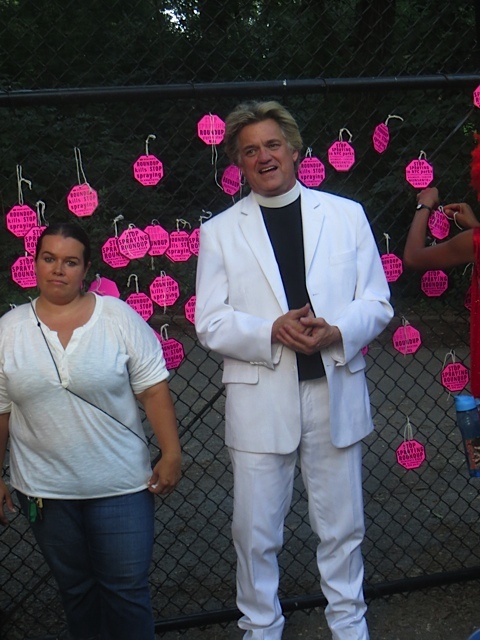 On August 24, 2015, Reverend Billy drummed this theme (literally), as 40 members of the Church of Stop Shopping and No Spray activists flocked to Prospect Park to initiate a new campaign against the City’s use of the herbicide Glyphosate (Monsanto’s “Roundup”). This past March, the World Health Organization ruled that Roundup is a likely carcinogen, causing birth defects and other serious neurological and biological ailments. The Environmental Protection Agency (EPA) is placing new restrictions on the herbicide. Stopping the use of Glyphosate is the focus of ecological activists worldwide, but the St. Louis-based corporation has its highly paid lobbyists who continue to press local, state and even federal governments to keep using its dangerous product. The No Spray Coalition against pesticides has for 14 years opposed the application of glyphosate (Roundup), particularly on sidewalks around schools and parks. In response to our letters and meetings, the City added a colored dye to the chemicals to warn people that it had been applied, so if you see blue or yellow dye on grassy areas, between sidewalk cracks, etc., you know to avoid it. However, young kids see that dye and stomp through it, roll around it it, ride their bikes through it, etc. It is an ATTRACTOR to children, despite the intent. 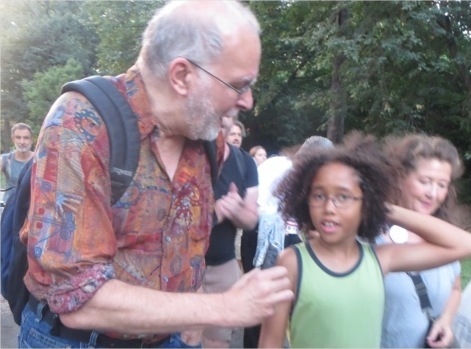 Around 10 years ago, the No Spray Coalition met with former Brooklyn Parks Commissioner Julius Spiegel, and he agreed to at least have announcements made over the speakers in every public school if glyphosate — or any herbicide — was applied in the general vicinity. This seemed to be a cost-effective no-brainer. But this never happened despite the agreement with Spiegel. His right-hand man, a biochemical “specialist”, engaged us in a debate over glyphosate, saying how “safe” the chemical was despite the written and very thorough information provided from Greenpeace and Beyond Pesticides (one of the co-Plaintiffs in the NoSpray Coalition’s lawsuit against the City, which was settled seven years after filing) showing it to be a dangerous and potential carcinogen. 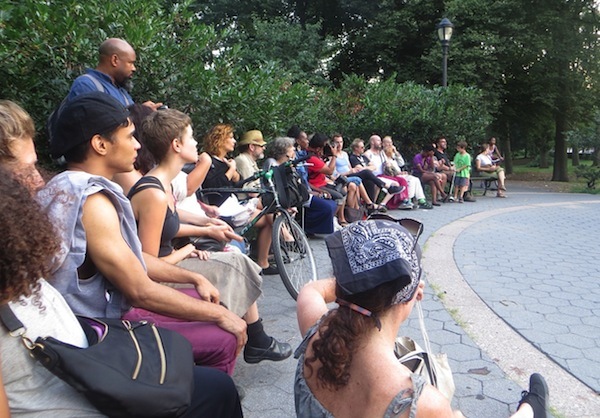 Those meetings with Brooklyn Parks Commissioner Spiegel were ten years ago. Now, finally, we’re vindicated by an important international agency which has condemned the use of glyphosate, but how many people have been injured in the meantime? 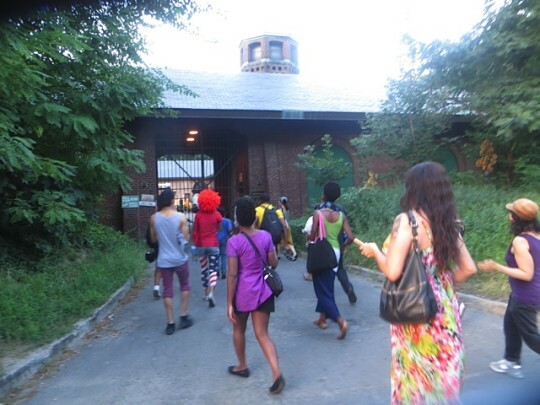 Brooklyn’s jewel, Prospect Park, is managed by a private organization, the Prospect Park Alliance. The PPA had previously denied using Roundup within the 585 acre park, but a spokesperson for the Alliance now states that the Parks Department does use “small amounts” in the park. 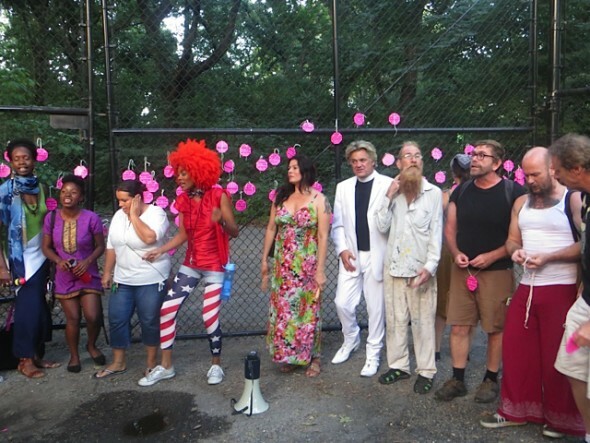 For years, the No Spray Coalition and the Brooklyn Greens had met with officials to ban the application of Roundup and other herbicides and pesticides to the perimeter to kill weeds. Workers used to weed the “undesirable flora” by hand, until Parks Department budget cuts over the last 25 years caused them to axe 70 percent of the workforce and replaced their methodical work with the spraying of chemical poisons. Brooklyn remains the most heavily pesticided and herbicided county in the entire state, a situation exacerbated by the switch to chemical pest controls to substitute for the workers who were laid off. When something is known to have dangerous environmental and health impacts, no matter what the reason, it should be eliminated from usage. Apparently, the City Council is working on a bill around Round Up and may hold a hearing. It can’t happen soon enough. It is wonderful the Rev. 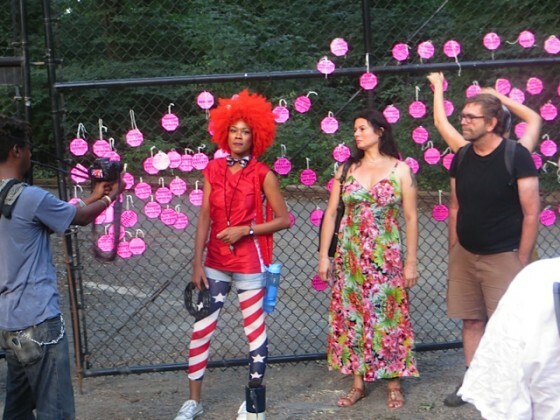 Billy & co. have picked up this campaign to end Glyphosate and pesticides in New York City. 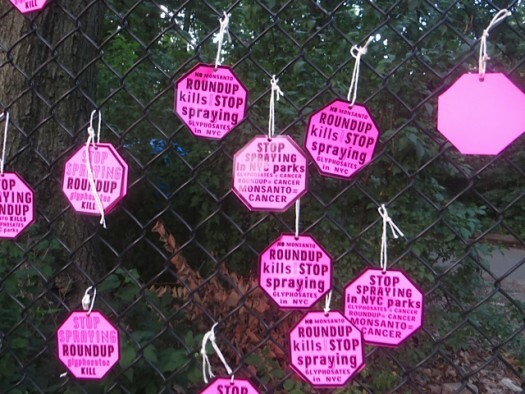 16 Years of Toxic Pesticide Spraying Across NYC: When will it end?